Feeling blue, bitter, or just downright bored? Unsure what to do with your free time? Why not play a board game? For centuries now board games have not only helped to stave off the mundane times in life, but also brought families and friends together. 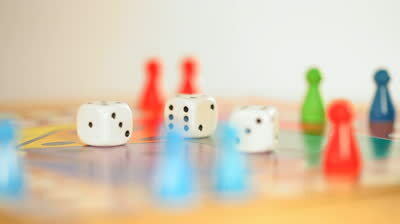 Whether simple or complex, popular or cult classics, you just can’t beat a board game. But, where do you start? Sure, games like Risk or Monopoly are time tested favorites, but what about the more obscure side gaming? Let’s dive in! A lesser known gem recommended by student Hannah Sparks is the wonderful game of Quelf! If you were ever looking for a game to get you up and moving and acting silly, this is your stop.“This game is great because it is spontaneous and random,” said Sparks. This game is certainly a party experience not to be missed. Certainly not all of the best games came from our decade; let’s dig a few years deeper, to 1992. This year brought another great party game. Before Quelf had us putting bananas on our heads, there was Outta Control!, the game of taboos. Don’t use the word what or you will never get rid of your chips! Also, don’t put your elbows on the table, or touch the die, and make sure you bark like a dog! Needless to say, this game tests your memory as well as your humor. Settlers of Catan is a semi popular game by Mayfair Games in which you build roads settlements and trade routes to try and best your opponent. If you ever thought Monopoly left too much up to chance, then Settlers of Catan is for you. But, what would board games be without a board? Still fun! Remote Possibilities is possibly the trivia gem of the early 2000s. Jump on the question if you know it or force your friends to answer it before it’s even asked! Build friendships up or destroy them with the press of a button. It is always fun to see what your friends react like on the spot. Whatever your taste, there are millions of different board games out there, and there is one for you. I encourage you to check out these games if you think they might suit you, and arrange a board game night for you and your family or friends. Get to know a new game as well as get closer to your cohorts.